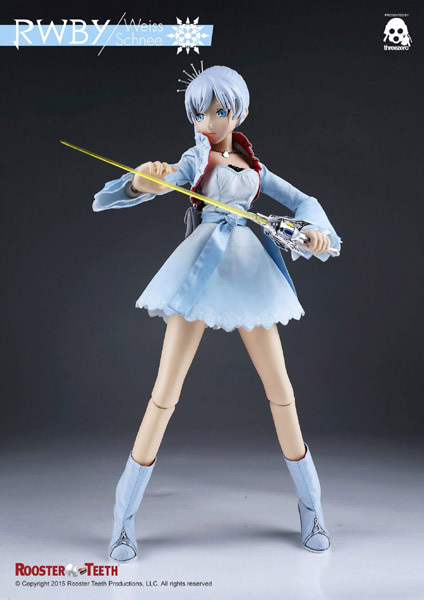 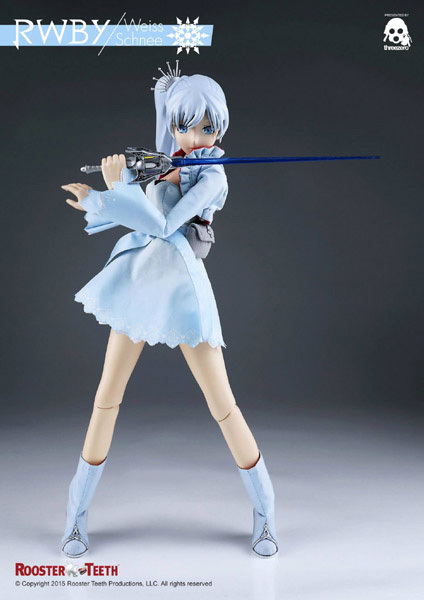 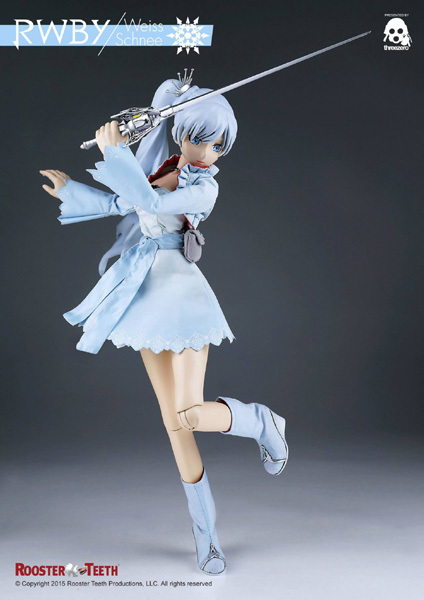 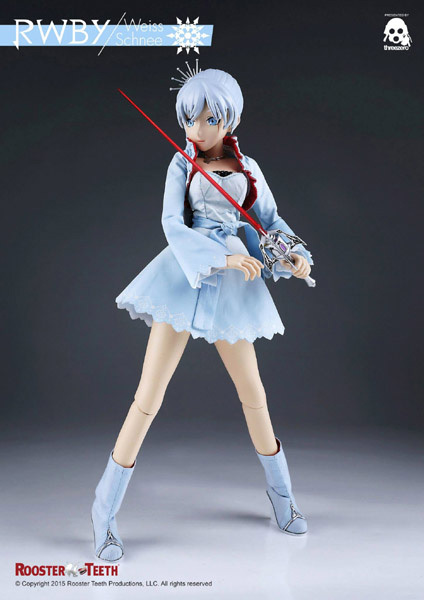 The 1/6th scale RWBY: Weiss Schnee collectible figure will be available for pre-order at www.threezerostore.com starting from April 20th 9:00AM Hong Kong time for 150USD / 1160HKD with International Shipping included in the price. 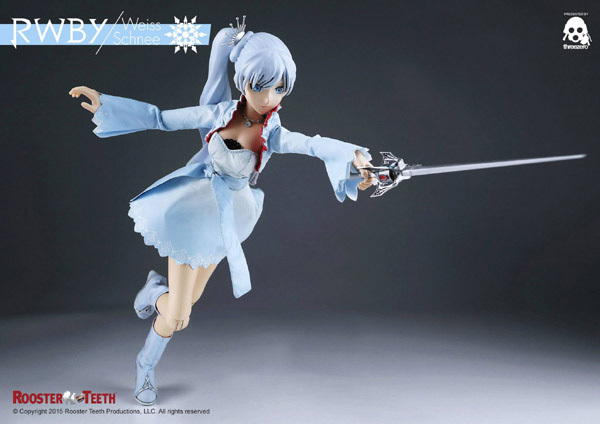 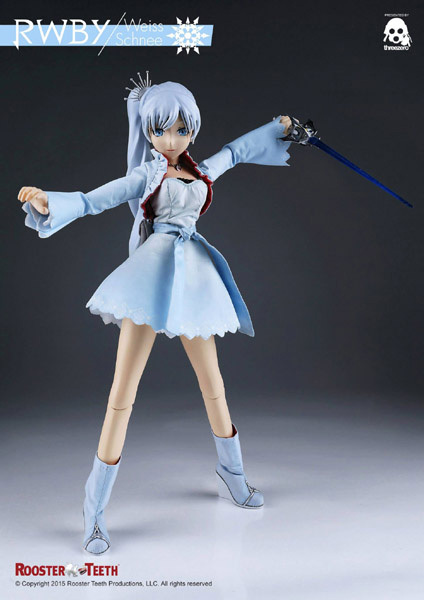 Weiss Schnee is one of the main characters and the second character introduced in RWBY. 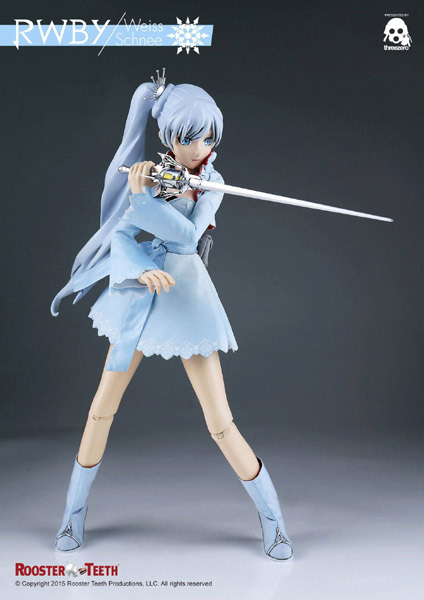 Weiss’ weapon of choice is a Multi Action Dust Rapier (MADR) named Myrtenaster. 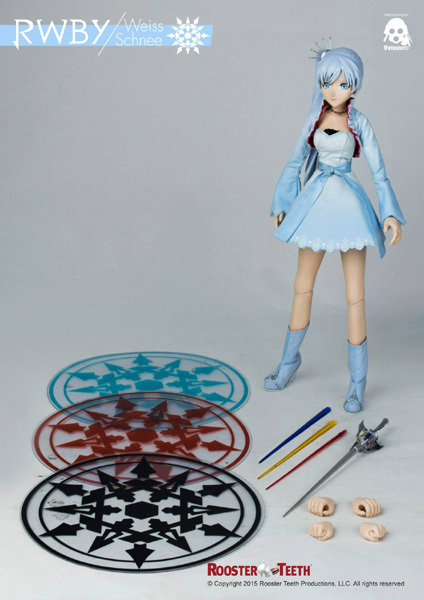 *three snowflake “glyph” discs: 1 blue, 1 red, 1 black.